Brantley Gilbert’s music represents Country consistency. 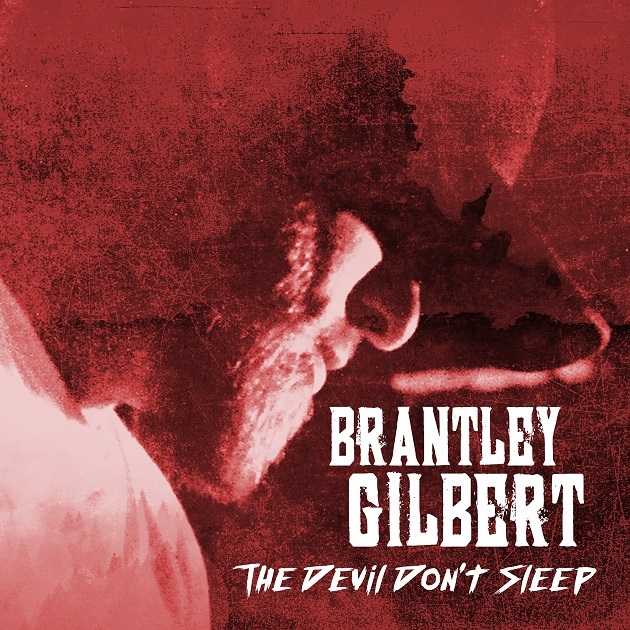 Gilbert, from his early musical career to his latest release The Devil Don’t Sleep, has always maintained a steady output of successful Country music. Throughout his career, Gilbert has continuously gained momentum but never fully upgraded to superstar status of Country peers like Luke Bryan, Thomas Rhett, Kenny Chesnsey, etc. It seems as though he’s been stuck in the neutral zone. A reason for this could be such artists tend to play it safe whereas Gilbert emphasizes his ‘outlaw’ factor consisting of overdriven guitars, tough-guy lyrics, and biker fashion. Gilbert has never been afraid to walk the line of Country and heavy rock thus finding and creating a niche within the Country genre. Firstly, unlike most music in 2017, the album stretches over an hour in length. In an era where singles and EPs dominate, the 16 track album challenges your tight schedule. Musically, it’s a step away from the heavy-hitting style that Gilbert coined over his career (though there are parts that still hit). This record seems to focus more on melody than it does edginess. There are numerous times throughout the record where Gilbert opts to take a musical veteran approach to songwriting. Though The Devil Don’t Sleep isn’t a complete 180 from where Gilbert was, you can hear where he’s developing and improving. For what it’s worth, changing up style seems to always be present in any successful musical career. Tracks such as Bullet In A Bonfire and It’s About to Get Dirty contain that edgy rock grind that many of his fans have come to expect. Contrary, tracks like Three Feet of Water and We’re Gonna Ride Again are slow ballads that showcase Gilbert’s impressive vocal range while touching upon sensitive subjects of religion and family tragedy. For those wanting the opposite, album-opener Rockin’ Chairs is a nostalgic anthem cheering to old times. Additionally, In My Head is an uptempo love song with familiar hues of 90’s boy band chorus writing. The album isn’t perfect though. Tracks like Bro Code and radio single The Weekend bring the seriousness of the record down. The record has reached number 1 on the Billboard US Country Album chart and number 2 on the Billboard 200. Both ranks are extremely impressive for an artist of Gilbert’s status. It feels comfortable to witness Gilbert further perfect his craft of Country music writing while still tapping into his past styles. Themes such as drinking, fighting, motorcycles, and love have long epitomized Brantley Gilbert through the years. Now, however, we see and hear Gilbert slowly inching towards maturity in writing. All things considered, The Devil Don’t Sleep is Brantley Gilbert’s best work yet: further solidifying his reign of consistent releases.